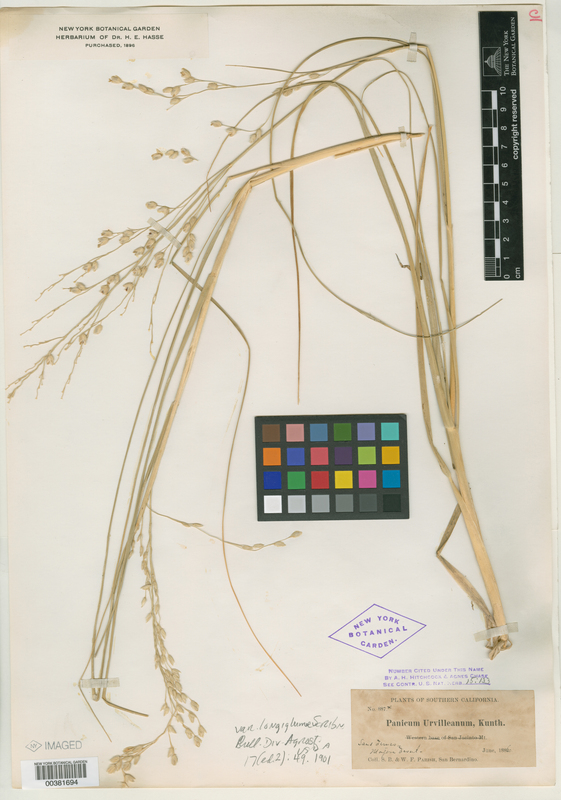 Taxon: Panicum urvilleanum var. longiglumis Scribn. Occurrence Remarks: Note this label is a printed one, with the Collection Number amended to 887* (the * added) and the Collection date changed to Jun 1886.